SAIPUA: no one wants to see a dead koala bear. no one wants to see a dead koala bear. 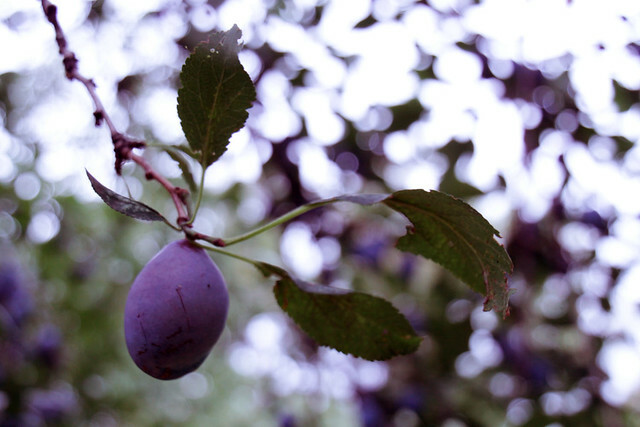 At the BBG last weekend for Rachael's wedding I encountered this plum tree. A tree so laden with fruit, it was almost unforgivable. No one can pick this fruit! Like a fruit tree behind thick plexiglass with a koala bear up it or something, except even the koala bear would have to adhear to the no-picking-the-fruit policy, and so it would be starved. Did I ever tell you the time I tried to coax a gardener into letting me have a fallen magnolia branch bound for the wood chipper? There were most beautiful buds on this branch...torn off the tree by a thunderstorm...destined for mulch. Torture! Pour into a greased loaf pan and bake for about 1 hour. Cool 10 minutes at least before inverting. * "adapting" aka 1/4 teaspoon difference of cinnamon. aka adding cardamom or allspice to a banana bread recipe. aka changing 1 cup of half and half to 1/2 cup heavy cream, 1/2 cup milk. I'm onto all your adapting food bloggers out there...I got you. that's criminal. so much food going to waste. My in laws neighbors have a giant apricot tree that they never pick. My father in law got so frustrated seeing all that gorgeous fruit rot that one night he put on a head lamp, took a ladder over and filled a bunch of buckets. Seriously, that is the most beautiful thing ever. Just look at that color, for gosh sake! I say, someone should be donning the black ski mask and gloves and going stealth in the middle of the night. Koalas eat eucalyptus....but maybe a plum bread this good would tempt. sift the flour -- as if ! you are hilarious ... i haven't ever sifted flour either. i also get perturbed when a recipe calls for a 'beaten egg'. like, for real ? i will be making this recipe today. thanks ! I went ahead and made your recipe. It's still warm as I write and delicious! although I substituted half whole wheat flour, and would use even more plums next time. Mine were from a mountainside, and bursting-ripe, so the recipe was perfect timing - thank you. Seeing that tree in person would give me the shakes. these photos are incredibly beautiful...i almost cant stand it! 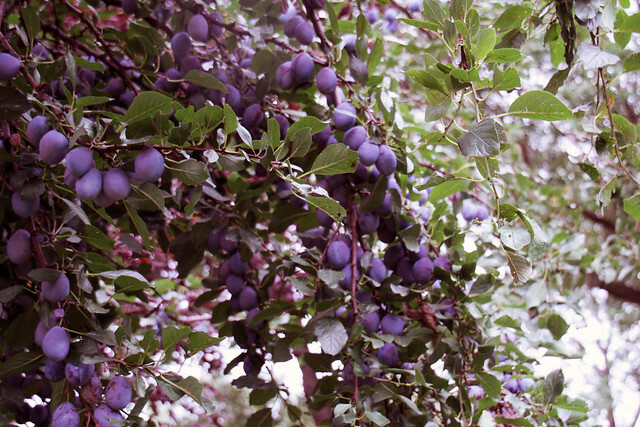 The pics of that plum tree are gorgeous; what a shame they don't make good use of all that wonderful bounty! Your recipe looks yummy .. think I could substitute something else (like maybe figs) for the plums? If you're ever in the market for magnolia cones, just let me know .. we have them by the dozens down here! Um, koalas aren't bears, aren't related to bears, and, indeed, we don't have bears of any sort in Australia. PS - If it helps, the koala (no bear at all) is most closely related to the wombat, which is also not remotely a bear. 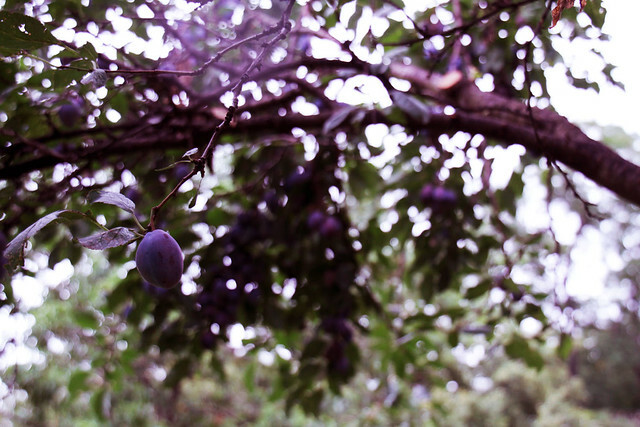 The plum tree is gorgeous. 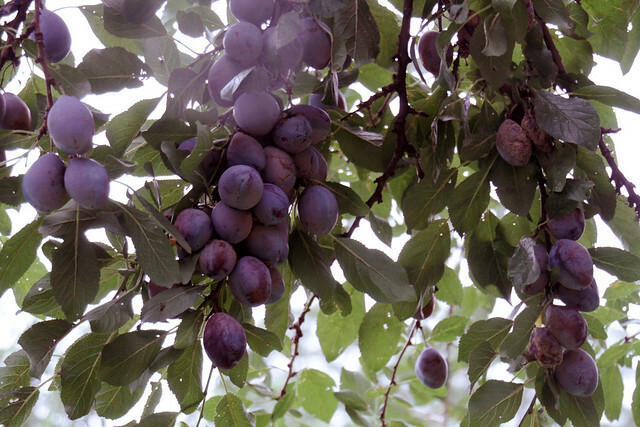 Coincidentally, we just purchased plums identical to these -- perfectly ripe -- and made your bread! A huge hit in the family! Thanks for sharing it!